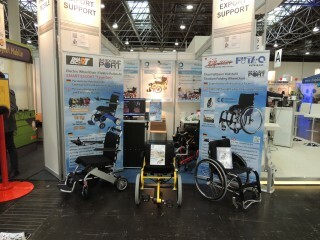 Our first presentation at “REHACARE” exhibition was successfully closed. We displayed total 7 wheelchairs and contacted with total 500 visitors. “ALTENPFLEGE” (08-10, March in Hannover). See you again in Hannover.